The discreet charm of Menorca on the Balearic Islands. The stunning beauty of this unique island of Menorca on the Balearic Islands will captivate you too. Here you can enjoy the peace and seclusion of your well-deserved holiday without the hustle and bustle and stress of beautiful beaches and bays on the Spanish Mediterranean. Menorca , a dream on the Balearic Islands. Without the hustle and bustle of nearby Ibiza and Mallorca, it has beautiful beaches and caves on the Spanish Mediterranean. MENORCA - The inhabitants usually say that Menorca is reduced to three words: water, fire and stone. The three essential elements of the Spanish island are summarised in the Cova d'en Xoroi, a natural cave with a bar in the middle of a cliff. While the sun dips into the Mediterranean and enchants the clientele, waves hit the limestone rocks exposed by the sun. At nightfall, the staff light torches and the breathtaking, relaxed vantage point turns into a lively nightclub. Although the description of the scene may sound like a frozen mojito, the programme is repeated every night in autumn, when Menorca remains as seductive as in high season. Until mid-October it is still hot enough to enjoy spectacular beaches. The water stays warm until autumn, and after summer you pay half the price for activities such as hiring a boat with an exclusive captain. Just plan and check the weather conditions - wind and temperature - before the tour. And on this island there is much more to discover besides sun and sea with crystal clear water. Mahón and Ciutadella are lively cities, and at this time of year you can enjoy the pleasant emptiness to the full. Menorca is the most eastern island of the Balearic Islands. An archipelago between Spain and Italy, which also includes the most famous islands Mallorca and Ibiza. All three enjoy an enviable mild climate in a postcard environment, but Menorca is offered in a package without crowds and overpriced nightclubs. And managed to maintain its authentic quieter and more discreet style, limiting its development to a few resorts with low buildings. The entire island (700 km²) was declared a Biosphere Reserve by UNESCO in 1993, so that most of the 125 beaches surrounding its coast are barely or not at all built on. On the south coast, the footpaths start from the car parks and lead through wooded canyons to the beaches. The fine white sand of Cala Mitjana is surrounded by cliffs and the calm, shallow water makes it easy to explore caves and snorkel rocks. In the north Cala Cavalleria is more accessible, but not less well preserved. The Phoenicians called it the Nura, or Fire Island. Legend has it that the passing seafarers saw the campfires lit along the southern cliffs, originally used by the inhabitants to communicate with each other. Remains of these early settlers - Iberian tribes who came from the mainland in the Bronze Age - can still be seen today in more than two thousand stone monuments scattered throughout the island. Talayotic society has left behind some temples, burial chambers and monuments that look like smaller versions of Stonehenge. Visiting some of the largest agglomerations has cost admission and guided tours, but there are many other monuments there that are not even demarcated. You can stumble across them, which can be hidden in tall grass as you walk along a path. In summary, they form one of the largest open-air museums in Europe. The following millennia brought even more visitors and invaders, including the Greeks, Moors, French and Catalans, but none of these foreign cultures left a more lasting trail than the British. They ruled the island irregularly in the 18th century and relocated the capital of Ciutadella, founded before the arrival of the Romans but destroyed by the Turks in the 16th century, to Mahon. 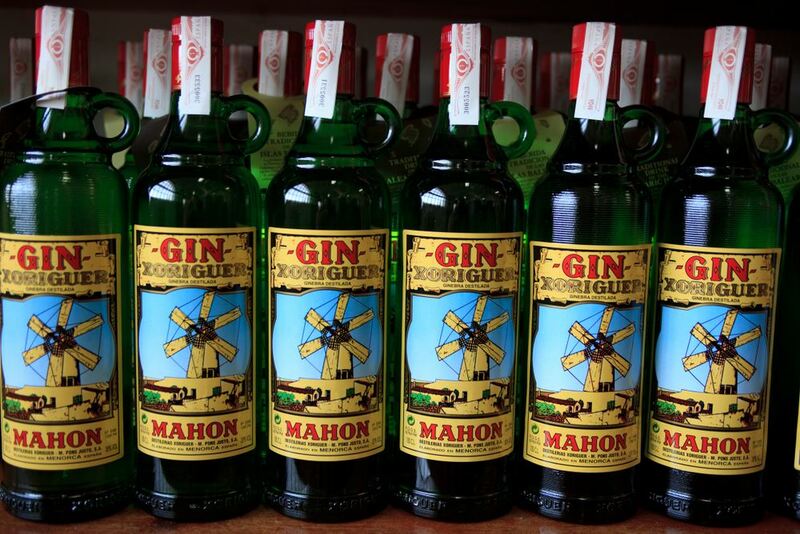 The English heritage is evident in the architecture of the houses of Mahón and in the active gin trade. The Gin Distillery Xoriguer is a cool place for a tasting before dinner in Mahón. And I saw beach-friendly bottles of frozen gin and homemade lemonade that were regularly sold at an ice cream parlour in Ciutadella. Although the beaches attract everyone's attention, much of Menorca's economy is agricultural, as evidenced by the fact that there are more cows than inhabitants. Small farms, separated by dry stone walls, cover the rugged mountains of the interior and produce an incredible variety of fruits (e.g. 40 different apple varieties) as well as olive oil, wine and the delicious Mahón cheese. The cheese even reached my ice cream, which was served by Ambrosia in the capital - not as cheese cake, but with cheddar-like pieces of cheese mixed with vanilla ice cream. Somehow it worked. 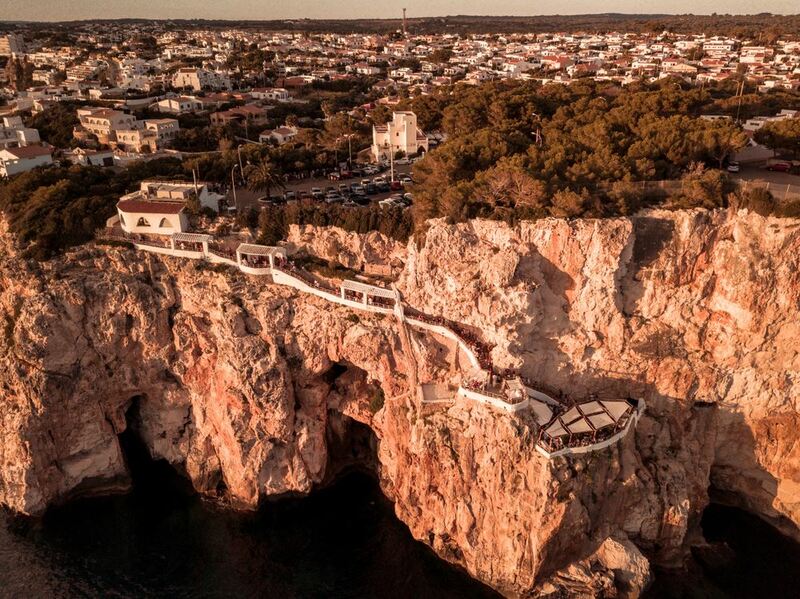 Menorca's ecological sensibility is reflected in spectacular restaurants in cities overlooking natural harbours protected by fortresses ready for battle. In Ciutadella, for example, try Es Tast de in Silvia, the only Slow Food certified restaurant in the Balearic Islands. There they serve updated parts of local dishes such as fideuá, a version of seafood paella with noodles. Above the dining room, on a vaulted stone ceiling, there is a table dating from 1704.